Contrary to popular opinion, I do not wear running shoes all the time. Due to my job as Coordinator of Growth, Development, and Legos (kindergarten teacher) I spend most of my day on my feet. I often wear old running shoes that do not work for running, but still have plenty of good support for standing on concrete floors. It has only taken me a lot of years to appreciate the need for good shoes. By “appreciate”, I mean find my style. I wish I could be a shoe girl with a closet full of fancy footwear and heels but I wear heels for 2 reasons and the other one is Sunday church. My shoe style is definitely camped in the active need-to-be-able-to-get-away-fast corner. 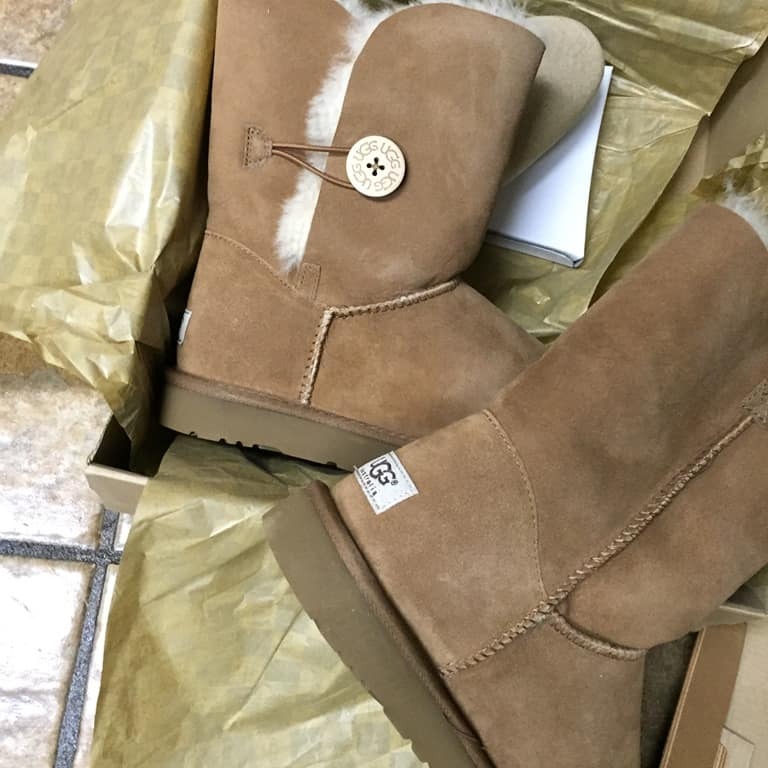 I love cowboy boots, black doc Martens, Bean boots, and now….these awesome things. Yes, I have become THAT girl. 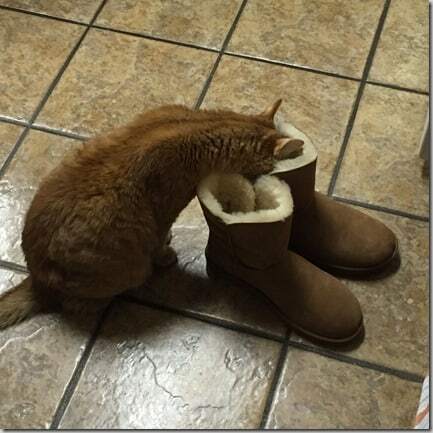 I caved into the need to see how warm fuzzy boots could be. Let’s just say, these will NOT be my last. These are the only shoes I like to wear around the house. Of course, I pair them with leggings and flannel shirts because I MUST fulfill the Basic White Girl checklist. Yes, Frankie, they are delicious.